Subways serve as a convenient mean of transportation, probably the most favored public transportation by both Koreans and international visitors. Subways are currently available in five major cities including the Seoul Metropolitan Area, Busan, Daegu, Gwangju and Daejeon. Seoul Metropolitan Area subway system covers an expansive area, including Line 1 to 9 with additional lines, such as Sinbundang Line, Gyeongchun Line, Gyeongui-Jungang Line, Ever Line, Uisinseol Line, and more branching throughout the metropolitan area. Subway lines are color-coded for convenience, allowing passengers to use the subway with ease. Base fare applies to travel distances of 10 km or less. Children age 6 and under ride free of charge. Subway fare system differs by region. In order to use subways, the first step is purchasing the right transportation card or ticket to meet your needs. Passengers can buy either a Single Journey Ticket or a rechargeable card like Tmoney, Cashbee or MPASS for multiple uses. 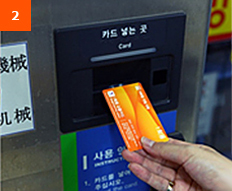 Single Journey Ticket cards can be purchased using a ticket vending machine and require an additional 500 won security deposit. 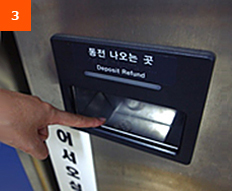 The deposit can be received when returning the card through the a separate machine after use. 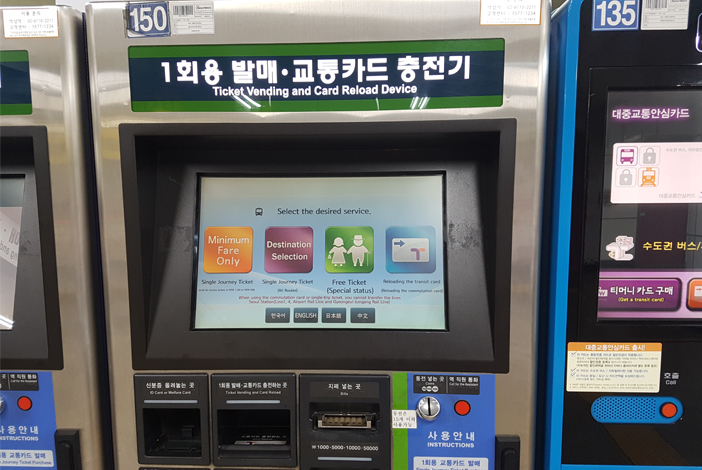 You can receive your 500 won deposit refund for the Single Journey Ticket by returning the ticket to a deposit refund device at your destination. 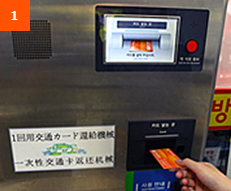 Simply insert the ticket into the device, and collect your refund. 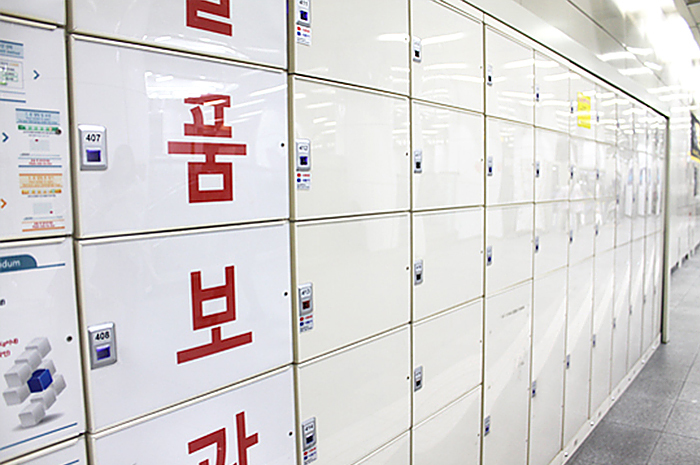 Many of the subway stations in Seoul are equipped with storage lockers. In addition, most lockers offer instructions in multiple languages. Locker fees and storage hours may vary depending on the terms and conditions of each facility. * Fees may differ in each subway station. Additional fees may be charged when basic storage time is exceeded. Payment: All lockers accept payment with a transportation card, while some lockers also accept payment in cash. This page was last updated on March 5, 2018, and therefore information may differ from what is presented here.